Counter-Strike Global Offensive > COLDZERA EXPOSED? then coldzera will be top1 again?! +1 these idiot don't get tired of being a public shame. When BUG actually wins a t3 trophy, we can start arguing. with or without the bug jump? how many trophies BUG have in their gallery? i know you can't stop talking about MIBR instead of talking about BUG's achievements. U are a mibr's and a brazil's hidden fan. You can open yourself with me mate. i don't care if mibr never beaten BUG, we have 2 majors, we have 5 world cups. But you have merkel and we have bolsonaro.... so, shame on us. for the rich people he isn't indeed. i'm crying? you came to my post and replied. also, what do you really know about bolsonaro, tuga? What do you really know about merkel? Well, actually the basics. Therefore, if you wanna criticize merkel, please i hope you use a better argument than "imigration issues". vem falar na minha cara, seu nerd imbecil sustentado pelos pais! If you need a bait to get your team to 2 major wins + being top 1 player in the world so be it. Why didn't other decent players find a bait so they could win 2 majors and get to top 1? Call him a baiter, he is/was the best trader in the world and got 2 majors alongside TACO. Guess no one complained. ye.. some people say this job call a entryfragger. but coldzera is the GOAT you can not deny. How could you say he's the goat when he's not even the best GO player and was irrelevant before 2015? gtr,olof,device >> cold in csgo. maybe even guardian. device? 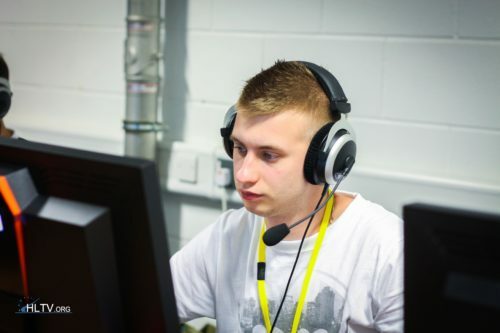 i understand gtr and olof but device??? you're joking right? device has 3 top5s already including 2 top 3s. this year he will he another top 3.he has another top 20 in 2014. 4 top 5s (3 top 3s) > 2 top1s which means device was a top player 5/6 years of csgo with top 3 half the time.no other player is close to that. coldzera has 2 top1s but he won't be top 5 this year. also he has been on top for 3 years only. he is also got 12 mvps with a record 7 mvps in a year. Not to mention 1.6 players who he seemingly forgot about. Neo and f0rest are the goats of cs without a doubt in my mind. f0rest,gtr are real goats.neo dropped off in csgo. they be great in both.then comes neo. Neo was good then he just fell off a cliff. I've always had this hope before all the old heads retire they make a 1.6 team for some fun. Would be cool to see f0rest, neo, get_right, taz, markeloff purely for nostalgic purposes. I know I'm reaching but it would be cool. I've said it multiple times - he's the biggest fraud in CS scene. At this point, only the brazilian fanboys deny this. Individually, he's not even a top 15 player.